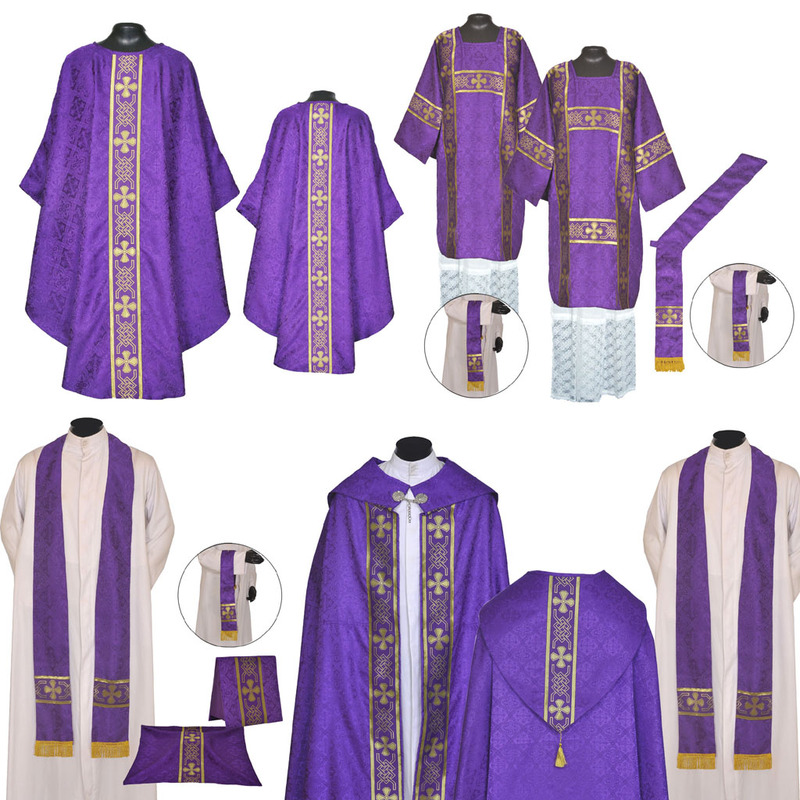 The vestment is made of Silk finished damask Fabric with Cross Designs. The St. Andrews orphreys (also called the "M" Orphreys) are made of high quality polyester braids. 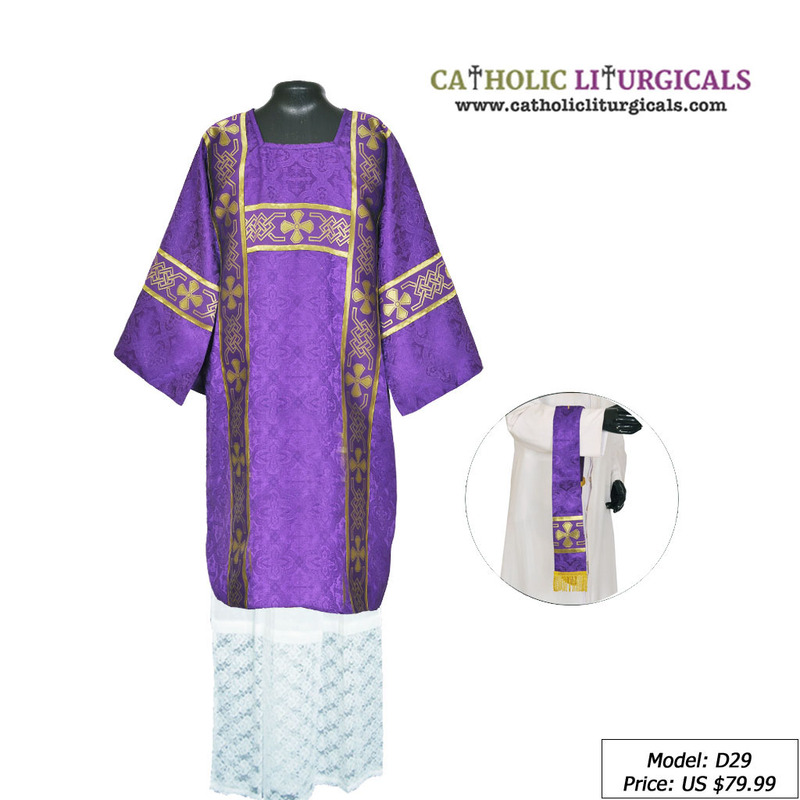 The Vestment comes with a matching stole, maniple, chalice veil & burse. The Mass set comes with orphreys to match the chasuble and the Stole has a golden cross embroidered on the back of the neck.